gfry.io/blog | Why gfry.io blog? I often fantasize about writing, about being heard, about sharing value and leaving an accessible legacy of ideas and lessons from my life for yours. I want to share the juiciest, most provocative ideas and details about my personal life and inner experience. I want to feel that my struggle has been valuable, and I want you to feel understood and empowered. I want to share with you openly, but some of my ideas and experiences may not be popular or even socially acceptable. Even if I could face the fear of being seen fully in this way, many of the residual costs would be needlessly incurred. And in any way that I have not overcome the fear, I would be further limited in my freedom to share with you. Identity management has become important and complex in the age of the internet. I have a career, a family, and reputation to maintain. With this domain name, I can avoid being found by my real name. At the same time, this domain and blog are public, and they can be found and shared freely. I am able to share with my personal network without strangers, stalkers, bots, and employers finding this content when they search the internet by my real name. The path flows freely from the real me to this domain and outward, and from the outside world to this domain, but not from this domain back to the real me. 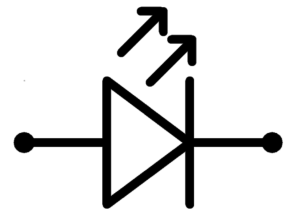 There is a diode in this information flow, a gate with a unidirectional flow. That said, if you ever do find the real me via this domain or blog, please contact me and let me know so I can attempt to mitigate any damages and continue to write and grow and improve my sharing with you all.